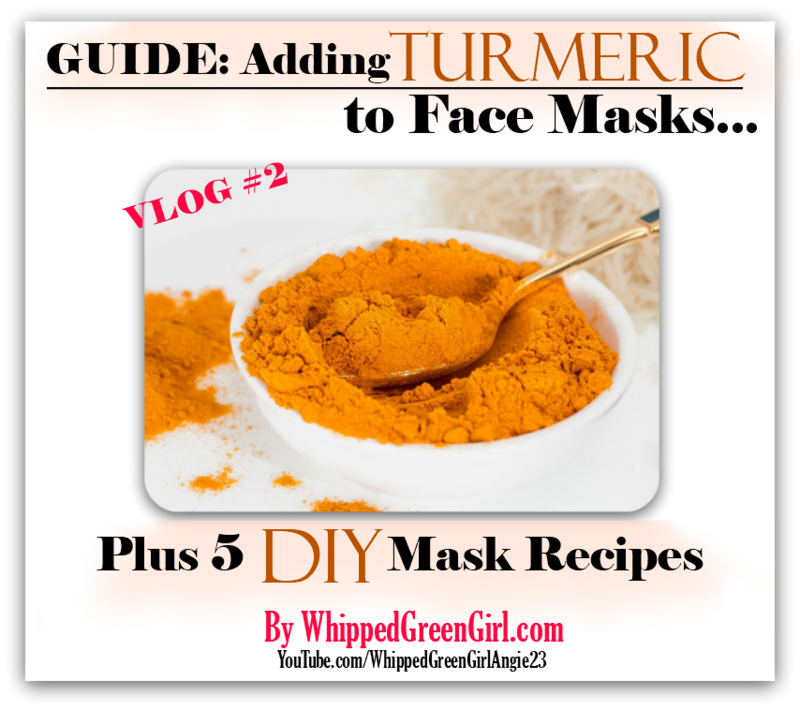 Here she rolls, my 2nd VLOG ever – Adding Turmeric to Face Masks…. Should you prefer learning by video: PLEASE WATCH! Don’t wanna see my mug? Trust me I understand! Keep on reading, you’ll get all the same deets & DIY recipes shared in my video below. First, how to pronounce it!? So lost, is it: TWO-MERIC, TURM-ERIC, TOOM-RICK? Nope, it’s TUR-MURH-IK! Known more as the spice that dyes entire kitchens orange. 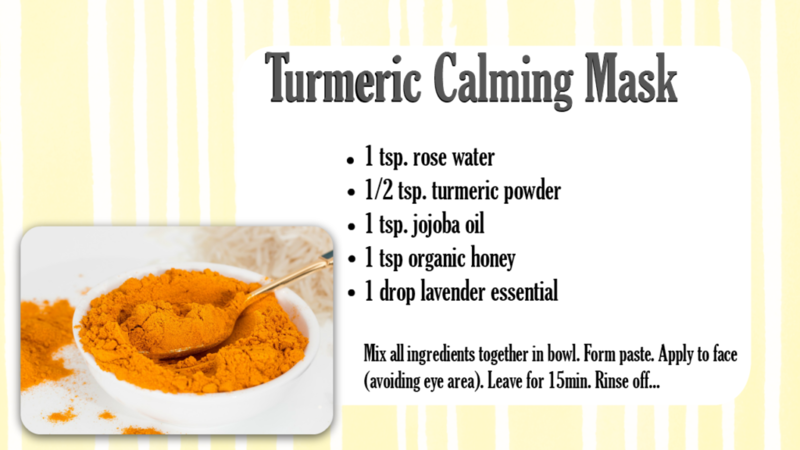 There’s also serious benefits to adding turmeric to your face masks. No fad, this is a beauty trick used for centuries across the world. But why? 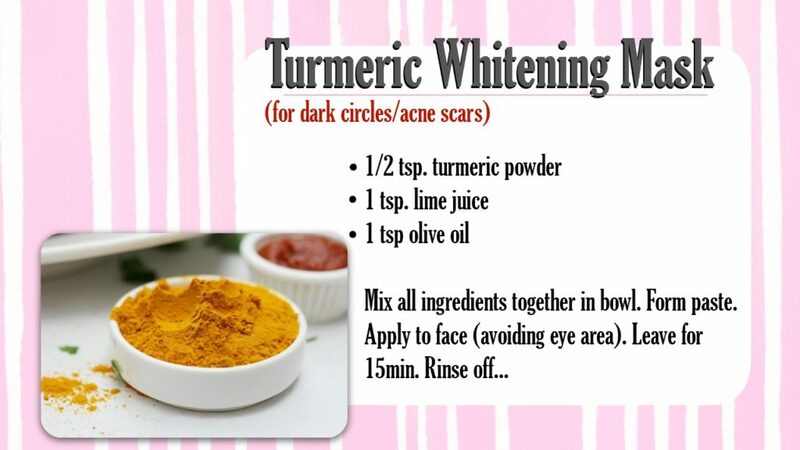 WHY Turmeric Works on Skin? 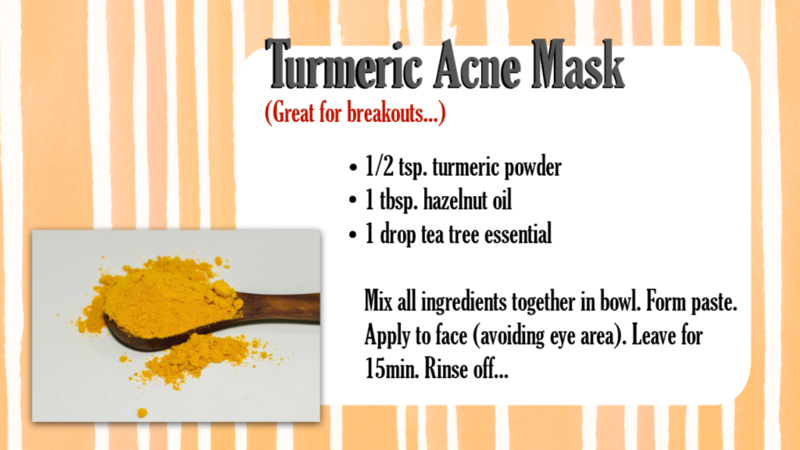 Yes, we all know turmeric is a zapper of dark spots, but seriously- how does turmeric pull this off? Secondly, CURCUMIN’s also an amazing ANTI-INFLAMMATORY agent said to rival what’s found in ibuprofen (minus toxic effects)! Sorry, yes – it can STAIN! Ever cook with it? Yikes, it’s like running under orange paint powder! Fret not, here’s some simple tricks to removing any possible orange, skin staining. Mixing in some milk seems to be the oldest, no staining face method…. But, if you don’t have milk in your house like myself. Mix-up a simple sugar scrub (water + sugar). 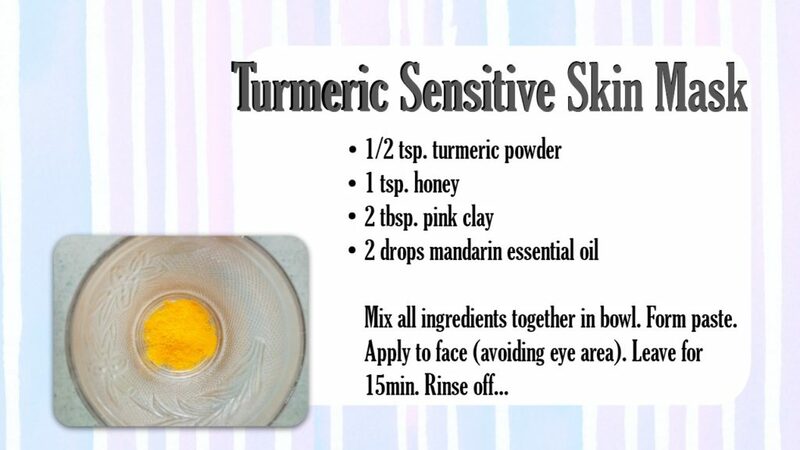 After washing of your turmeric mask, follow-up with the sugar scrub. 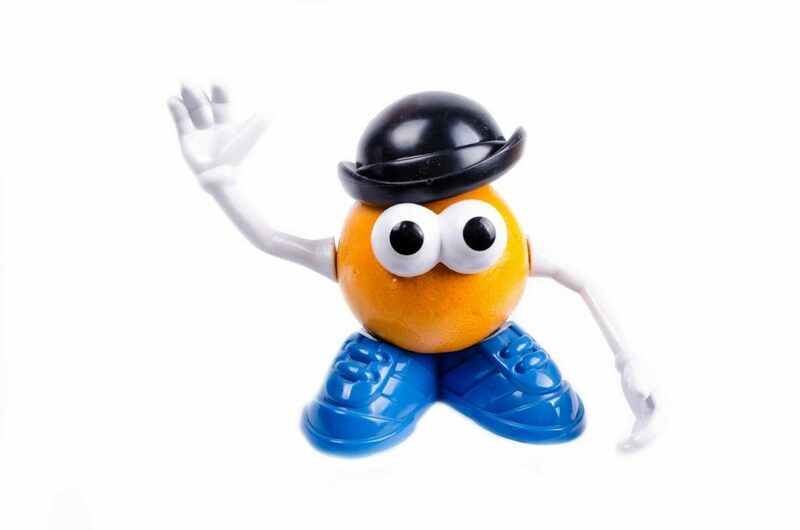 It’ll lift-off any extra orange left on your skin… Bye, bye pumpkin cheeks! Finally, fun stuff: check-out my DIY mask RECIPES! Beyond being the spice in curry that stains your clothes after a pub night! 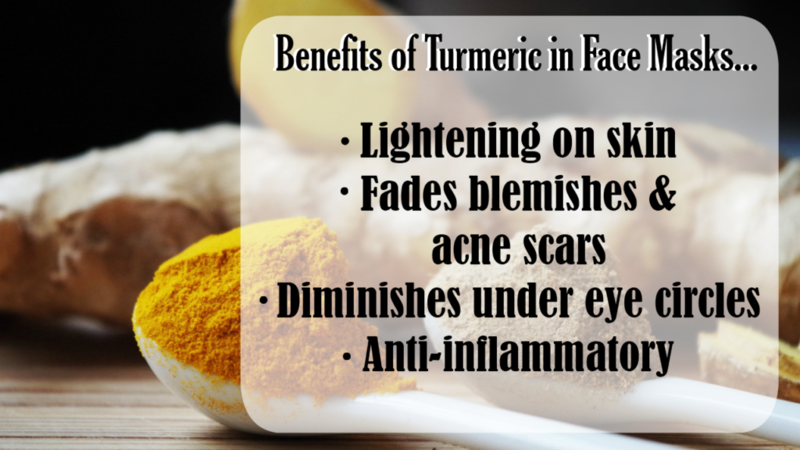 Turmeric is a super skincare trick! Used for the right reasons, the right way! Yes, you will see benefits after a few routine masks. 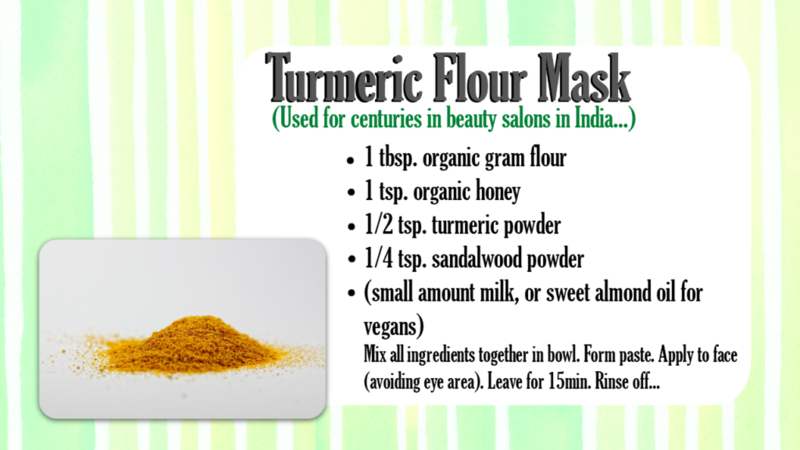 Since 500BC people have been using turmeric in skincare. Belonging to the ginger family, it’s no surprise turmeric is filled with little secret skin tricks! Appreciate anyone who checked my “Adding Turmeric to Face Masks” VIDEO! Big plan is to ADD NEW VLOGS EVERY WEEK. Hit the “LIKE”, “SUBSCRIBE”, you know the whole jingle, jangle!